To cook the best rice, we particularly look for 4 things. " Rice, kamado (Metal Pot), water and the way to cook.". Unlike Japan, it is very hard to get good quality of water in California. I go to the market every morning. There, I meet people who work for other food industries. They told me about Pi Water. There were so many good reputations about Pi Water among professional people. So, I decided to install Pi Water system at my restaurant. Our special metal pot, charcoal and Pi Water matches well. The rice is cooked perfect. Customers says that not only the taste of our dishes are good, the glass of water tastes good also. We use Pi Water for everything. Even for other dishes because the bad smell in the kitchen has decreased tremendously and does not smell fishy anymore. Pi Water makes beverage tastes better and smooth. 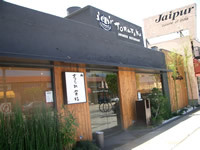 Located on the1st floor of Miyako Hotel in downtown LA. The cafe is using AP 2500 Pi Water Processor since their opening. All the water we use here is Pi Water. We make tea, coffee, espresso and other beverages with Pi Water. We use Pi Water for dishes also. Beverages prepared with Pi Water has a smooth taste because Pi Water has much smaller clusters. My hands' skin was rough before because we wash a lot of dishes, but now, I do not have any skin irritation on my hands. Roast beef, ham or swiss cheese croissant sandwiches are very popular. Another sandwich that uses french bread with melted cheese is delicious also. Please stop by our restaurant to try our coffee made from Pi Water. The color of vegetables boiled with Pi Water turns very bright!! Most restaurants do not spend a lot of money on water. However, at my restaurant, I wanted to have the best quality of water. Now, I use Pi Water for everything. To make sauces, shabu-shabu, dishes, etc. And I certainly can tell the difference. When vegetables are boiled with Pi Water, the color of vegetables, especially broccoli are much brighter. The end of shabu-shabu, we serve Japanese Noodle called "Udon". The taste of Udon Soup is much tastier. I am confident that I am using great quality of water. I can serve to my customers without any hesitation and worries. The name, Pi Water, is already known as the best water. Our customers look at the certificate of Pi Water participation and agree that our water tastes so good. We also get a good reputation from our customers that we use healthy water, Pi Water. 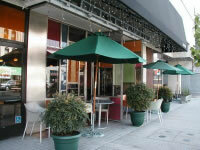 We have a variety of dishes at our restraurant. From vegetarian to meat lovers. Especially prime beef is Japanese style marbled and they are very tasty. Our lunch starts from $7.00 and the tasty rice cooked with Pi Water is good also. Pi Water keeps natural tastes of fish and vegetables. We use Pi Water to wash everything, especially the fish. I can tell that there is a big difference when we use regular purified water and Pi Water. Pi Water keeps the natural taste of fish and vegetables, so I can serve my dishes with natural and original taste. Soup, green tea, rice and all dishes tastes better when prepared by Pi Water. I use Pi Water for both my home and my restaurant. At home when I do laundry, the detergent is rinsed better with Pi Water. Rice is cooked with the perfect softness with Pi Water. Pi Water is necessary for both my life and work. I use the AP450 Pi Water processor. I can see that the water is softer and taste better. My customers are also happy that the restaurant uses Pi Water. Our cabbage pickle is very good. We serve it to anyone who orders the dinner menu. Pi Water makes our dishes even better! At first, I was using Pi Water at home. Then, I realized Pi water tastes much better than other mineral water, so I decided to use it for my restaurant also. The noodle soup tastes much better when cooked with Pi Water. Pi Water makes Alcoholic drinks tastes better also. Our daily lunch is very good. For dinner, we have fresh fish and sushi!! If you are in the Orange County area, come eat at Echizen. Water is very important for restaurants. Water is used to wash vegetables, rice, soup, noodles, tea, dishes, etc. For every process, we need to use water. I have been using Cullgan's water softener, but I felt that it was not enough for the water quality in California. To make better noodles and Japanese dishes, we needed better water quality. As I was researching for better water purifiers, one of my friends told me about Pi Water. After installing the Pi Water system, soups taste a lot better. Rice and noodles are cooked to a perfect degree of softness. When noodles are boiled, the edge of noodles melt and become round. With Pi Water, the edge of noodles remain and is boiled very well. My employees say that the taste of cold green tea is much better and started taking them home. My customers and employees are happy with Pi Water.